Understand interchange rates work, and how cards qualify for specific rates. 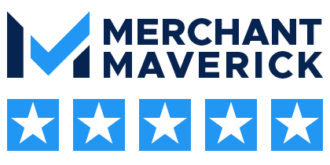 Visa and MasterCard have special programs for certain merchant types and Dharma will help you find the best possible rates. Click through to learn more and educate yourself! MasterCard allows issuance of two distinct card types – Consumer and Business. Depending on your customer demographics, most card-present or “retail” merchants will receive predominantly Consumer cards. Read on to see how different cards qualify for different interchange rates. Visa allows issuance of two distinct card types – Consumer and Business. Depending on your customer demographics, most card-present or “retail” merchants will receive predominantly Consumer cards. Read on to see how different cards qualify for different interchange rates. How do I get the lowest B2B interchange rates? Visa/MasterCard set the underlying interchange rates for all credit card transactions. Those rates vary widely, based on a variety of factors beyond the type of card being presented. The type of card is important! But, many other things impact the underlying rate, such as the size of the sale, the time difference between the authorization/capture, data captured with the sale, and more. 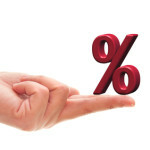 We’ll show you how to get the lowest rates! This pricing model works by adding a constant margin onto the underlying interchange-rate. It’s widely considered the fairest model in the industry. Interchange is the underlying cost of every credit-card transaction. It’s what every provider pays back to your customer’s issuing bank. MasterCard credit cards are issued to customers not by MasterCard, but by an issuing bank. These credit cards will have varying terms/rewards, as every bank is different. The below guide is a handy reference to see how cards are typically classified. Note that issuing banks have a lot of “leeway” in how they classify a card. So, some cards may have similar benefit structures, yet will fall into different categories. What’s important to keep in mind is that you have NO control over this aspect of card acceptance. You can’t tell what type of card you’re accepting just by looking at it, and most customers won’t even know their card type if you ask them. This process is designed to be “invisible” and in the background. 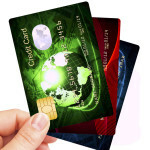 Visa offers several different card types that banks can issue to their customers. The more “perks” that each card offers, the more they cost in interchange fees. 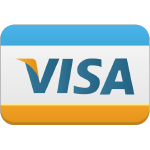 See the main categories of Visa cards and see how it all works out by reading on. CPS stands for “Custom Payment Service”. The CPS classification is typically known as the best rate structure offered by Visa, and CPS requirements are often the “minimum” qualification requirements for more advanced interchange rates. Read all about CPS here. In a nutshell – you have to first qualify for CPS rates before other more advantageous rate structures will apply. The “CPS Retail” category encompasses traditional consumer credit cards, as opposed to rewards/business/purchasing cards. Barring a few exceptions (below), most merchants are able to receive this interchange rate. Read on to see how different types of CPS Retail cards are assessed. Standard rates are the worst rates that you can receive on Visa cards. 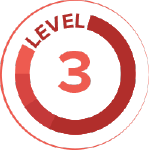 Typically, you’ll receive Standard rates when your sales don’t meet any of the basic qualifications. This can include not submitting AVS data, not settling your sales on time, or failing to submit otherwise required data, based on your merchant type. You want to avoid this rate classification at all costs! “EIRF” is an acronym for “Electronic Interchange Reimbursement Fee” – and it’s a card-type you’d prefer not to receive, if possible. This is the rate category that many cards will “downgrade” to. Some business types (like restaurants) will auto-downgrade to EIRF for many card types, and an EIRF classification can be totally normal. For standard retailers though, an “EIRF” classification often indicates that data was missing from the transaction when processed, which resulted in a downgrade.